Within the GLOBE project, CEOs from companies in East Germany, Estonia and Romania (N=129) have been interviewed about their value preferences in case of critical management decisions. Furthermore, lower level managers and employees (N=787) filled out questionnaires concerning perceived value preferences of their companies. Drawing on an extended stakeholder approach through focus on managerial values (CSV) and the person-situation concept of , we particularly focus on country-based contingencies of managerial values coupled with other context factors like managerial position and ownership. The findings show that there are specific country-based combinations of corporate social values in the companies studied, with strategic orientation in East Germany, shareholder focus coupled with a relatively strong religious orientation in Romania and an orientation on shareholders as well as on employees and community in Estonia. Moreover, an interaction between the country effect and organizational factors shaping managerial decisions can be observed. 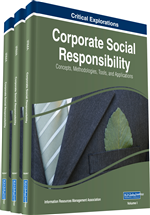 The term “Corporate Social Responsibility” (CSR) refers to the responsibility vis-à-vis stakeholders as well as the environment of the company (Matten & Moon, 2005; McWilliams & Siegel, 2001). The literature distinguishes between explicit CSR, addressed in the corporate policy, and implicit CSR, namely values, standards and regulations established in the company (Matten & Moon, 2005). The discussion regarding implicit CSR particularly points to the significance of strategic management decisions and the associated individual values of managers, the so called „managerial CSR values“ (e.g. Wood, 1991; Waldman et al., 2006). Values, considered as “general beliefs about desirable or undesirable ways of behaving” (Feather, 1994) can be assumed to shape not only individual behaviour but also decisions in organizations. Accordingly, the main research on values focuses either on the individual level of values and their expressions (e.g. Rokeach, 1973; Feather, 1975; Schwartz, 1994) or on conceptualizing values of organizations, e.g. shown by value dimensions of Schein (1992), ‘competing values framework’ developed by Cameron and Quinn (1999) or Hofstede, Neuijen, Ohayv, & Sanders (1990) six dimensions of organizational practises. Both theoretical concepts are in most cases multidimensional, suggesting the complexity of the value-based landscape. However, the value dimensions referred to and measured are, in their substance, mainly universal(istic), context-free and abstracting from specific organizational issues, such as individualism vs. collectivism dimension (Hofstede et al., 1990). Contrary to those concepts, this article deals with individual values referring to organizational issues, namely individual beliefs about right corporate decisions orientation. We refer to this concept as corporate social responsibility values. Our conceptual approach is based on the assumption that a strong link exist between individual values of corporate managers and practices of corporate social responsibility as observed in companies under consideration. By assuming this relationship, we, first, draw upon the upper echelons theory which states that top managers exert a substantive influence on decisions and practices occurring in organisations (e.g. Hambrick, 2007). According to the upper echelons theory, individual experience, preferences and values of top managers are engraved in any strategic decisions of organizations. Second, empirical basis of our framework is provided by several recent studies which confirm that individual values of managers and corporate social responsibility practices in organizations are strongly linked. For example, Chin and colleagues demonstrate in their study that CEO’s political beliefs and ideology has an impact on corporate social responsibility practices of their firms (Chin, Hambrick, & Treviño, 2013). Drawing on these conceptual and empirical considerations, we assume that managerial values represent an important issue of the corporate social responsibility debate in post-socialist contexts too. From their theoretical conception, individual values can be distinguished in explicit and implicit values, like CSR mentioned above. Whereas implicit values are considered as longstanding preferences and as part of the firm-based or individual beliefs, explicit values are commonly regarded as those articulated by actors if asked for (e.g. Feather, 1994). On the other side, researchers differentiate between real, or lived values, which are expressed in daily action, and espoused values, which are publicly demonstrated and therefore connected with legitimating of actions (Kabanoff & Holt, 1996). Certainly, a clear-cut distinction between implicit and explicit or real and espoused values cannot be made; with the concept of individual implicit CSR values of managers we refer especially to implicit and, thus, rather real values.